When you walk into Infant One, you will see babies on the floor crawling, teachers feeding babies and young toddlers climbing up the climber. Our classroom has a variety of different ages and abilities so our classroom is ever changing and growing. The children's interests guide our daily programming. 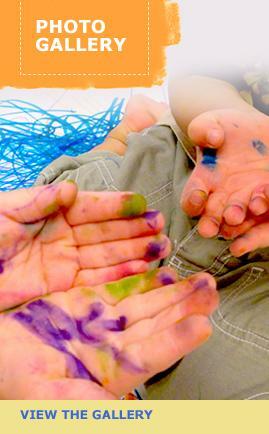 We provide a wide variety of music, sensory activities, art, and fine/gross motor activities that are age appropriate. Throughout the day you will see smiles, laughter and lots of love. Our room is ever changing based on the children’s needs. Some days everyone goes on a walk around the neighborhood and other days some are inside sleeping while others go on the playground for some to enjoy playing in nature. We listen to the needs of the children and adjust our schedule to help them develop and grow.